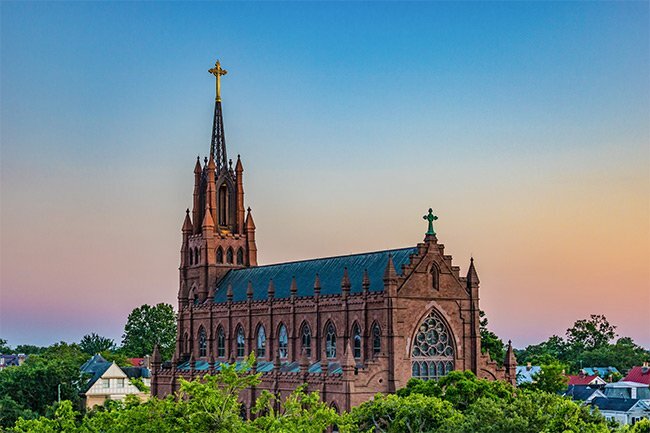 The Cathedral of St. John the Baptist is located in downtown Charleston and has been a fixture of the city’s landscape for over a hundred years. 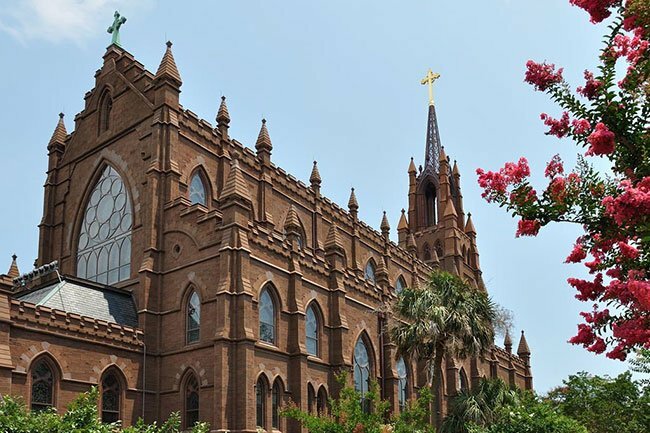 It is also home to the Roman Catholic Diocese of Charleston. 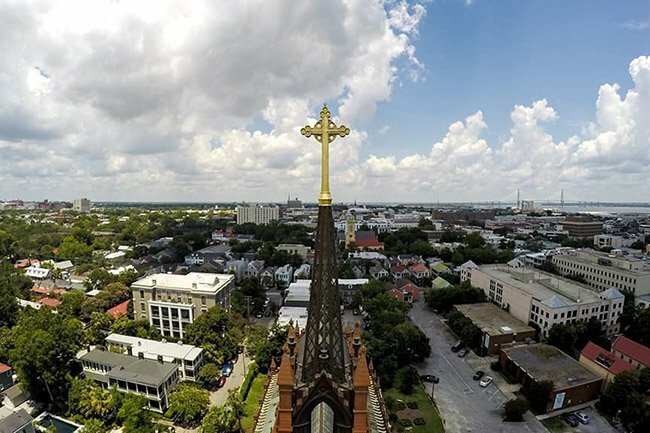 The Cathedral of St. John is one of the many downtown churches that gives Charleston its nickname of “The Holy City.” However, the land on which this ornate church sits was once home to a less-than-holy “pleasure garden” known as Vauxhall Gardens. Vauxhall Gardens served as a post-Revolutionary entertainment venue, complete with bathing rooms and a circus. 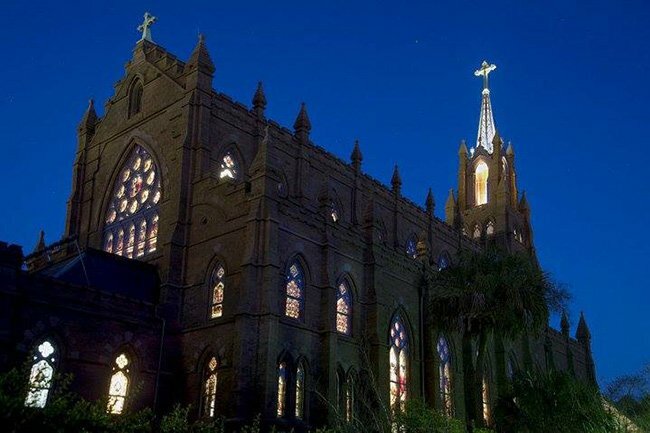 On May 3, 1821, Bishop John England – the first bishop of Charleston – purchased the Vauxhall property for a Catholic place of worship and christened its building St. Finbar’s. The building served the fledgling congregation well until a proper cathedral could be built. 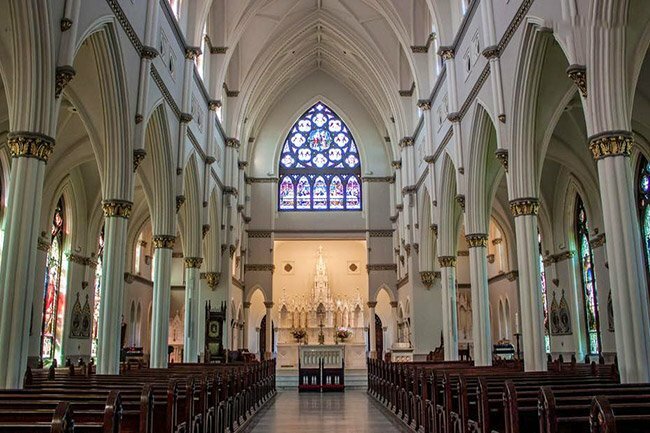 In 1850 construction began on a cathedral for the church, which was called the Cathedral of St. John and St. Finbar. 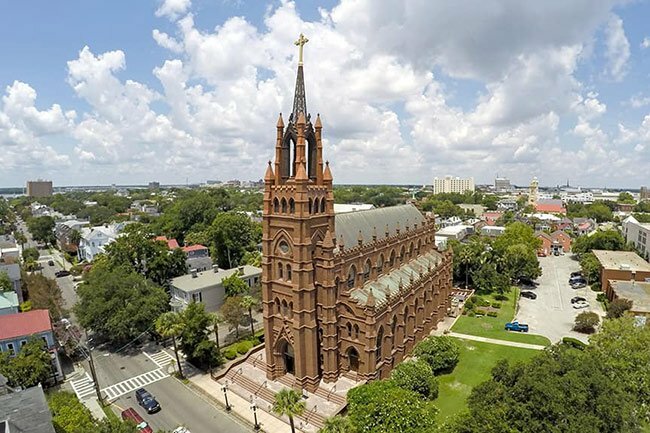 It was designed by noted architect Patrick Charles Keely and consecrated in 1854. Sadly, the Great Fire of 1861, started by a factory on nearby Hasell Street, destroyed much of the city, including the cathedral. Also lost in the fire were 17,000 volumes from the church’s Seminary Library. The gate and fence were spared, however, and remain today. The congregation temporarily worshiped in Hibernian Hall and built an interim church at 105 Queen Street following the fire. Insurance on the cathedral had expired at the time of the fire, and it took the congregation decades to afford a new building of the desired style and grandeur. Finally the cornerstone of this building was laid in 1890, and the church was completed in 1907. 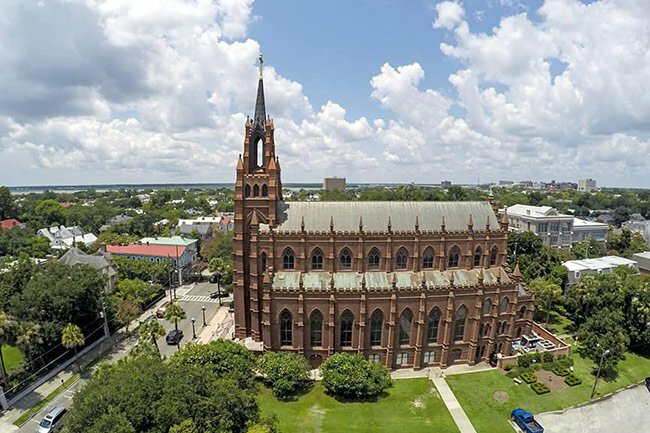 The first builder of the cathedral, Henry L. Cade, died during construction. He was succeeded by Henry Oliver. 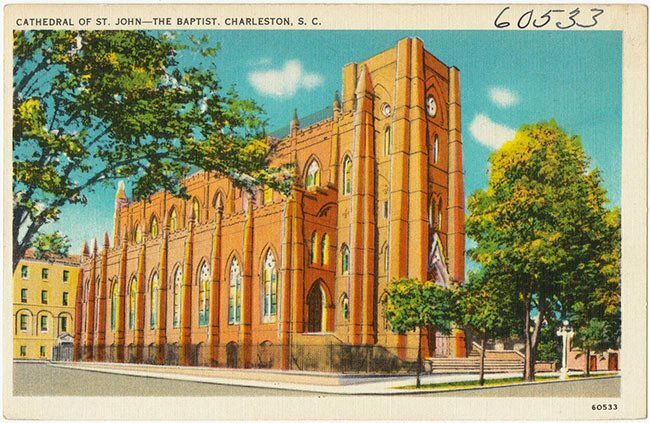 The Cathedral of St. John the Baptist is considered the “mother church” of the Catholic Diocese of Charleston.